The same night as the Parade of Nations for the 2016 Rio de Janeiro Olympics in Rio’s Maracanã Stadium was going on, a second Parade of Nations was happening in Mesa at SWIMkids USA. The Rio parade was awe-inspiring as it featured top athletes from across the globe marching together including Gilbert gymnast Alex Naddor, Tempe diver Sam Dorman and legendary swimmer with Tempe ties, Michael Phelps who was carrying the American flag. The Mesa Parade of Nations was charming as it featured children from Gilbert, Tempe and other East Valley cities who were waving flags from different countries around the world as they marched around the SWIMkids USA facility where they are in the early stages of learning to swim or do gymnastics. Even if the little swimmers and gymnasts are not taking lessons to be a future Olympian, they are gaining so many life skills from simply participating in sports. They are learning discipline, goal setting and they are gaining self confidence. Every athlete in the games of the XXXI Olympiad started learning in a facility just like the swim school they East Valley students are learning in. It is in community swim, gym centers or recreation facilities where the foundation for their future success was laid. The athletes then with long and hard hours of learning and practicing became the elite athletes that everyone can admire. The children who were in the Mesa parade see from the Arizona athletes in Rio that Olympic dreams begin in cities just like the ones they are growing up in. They see that friendly competition can be fun and they learned by being part of a the SWIMkids USA Parade of Nations that the world is a wonderful place. At SWIMkids USA, we highlight the development of the entire child, rather than simply focusing on swimming alone. A new study has found that keeping your kids (especially girls) in shape helps to fight the symptoms of depression. We’re not surprised! After all, how many times has a walk in the fresh air made you feel better? Imagine the benefits of daily exercise! Here’s an excerpt from the press release from the U.S. Department of Health and Human Services. You can read the full article here, or check out what the APA wrote here. In the spring, we realized that we needed to do more to combat the American obesity epidemic. In response, our team of childhood development experts created FITkids USA, and piloted the program this summer. Now, it’s here to stay. 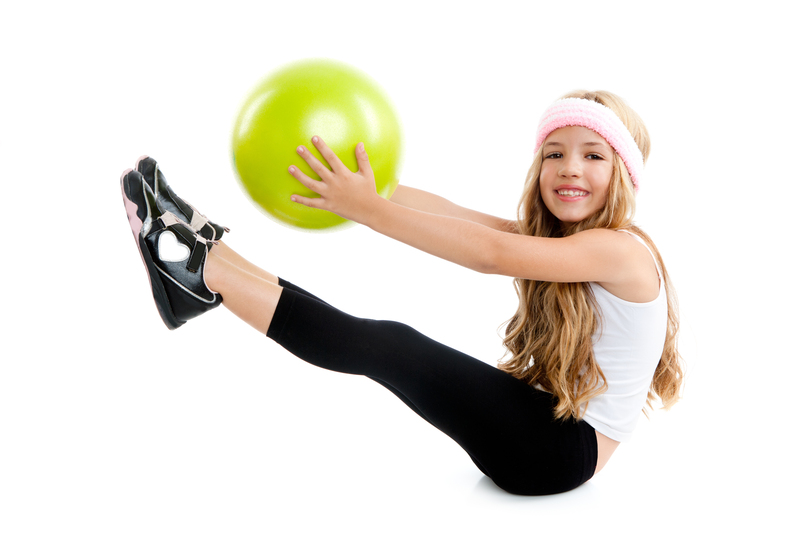 The hour-long physical conditioning class is for both the elite athlete and the sedentary child. We work to develop their skill in everything from plyometrics to flexibility and core strength. Give your kids what they need for a more confident future. Check out our Facebook page for our latest updates and information about FITkids USA! Our dancers are already excited for the 2014 Winter Recital! Lately, we have been blogging all about the brain boosting benefits of swimming at an early age. But did you know that dancing helps develop the brain, too? At SWIMkids USA, we cross-train athletes in dance to improve coordination and rhythm. Whether it’s hip-hop, ballet, tap or jazz, our DANCEkids USA program does it all. So, why is dancing so beneficial to a child’s brain development? Well, it helps the brain to form better judgement and forethought, and helps the organ produce a protein that stimulates neural communication- that means smoother social interactions, and faster reaction times. How can your child reap those benefits? The answer is simple. Dance at least once per week! And that could mean formal classes, or casual dance parties around the dishwasher during chore time. In fact, we’re giving you the chance to try the fruits of dance! Saturdays August 23 and September 6, we’ll be bouncing to the beat with our Back to School Dance Parties, and on Saturday, August 30, we’re hosting a Family Fitness Zumba Party. It’s only $5 for each participant, so sign up and get dancing! 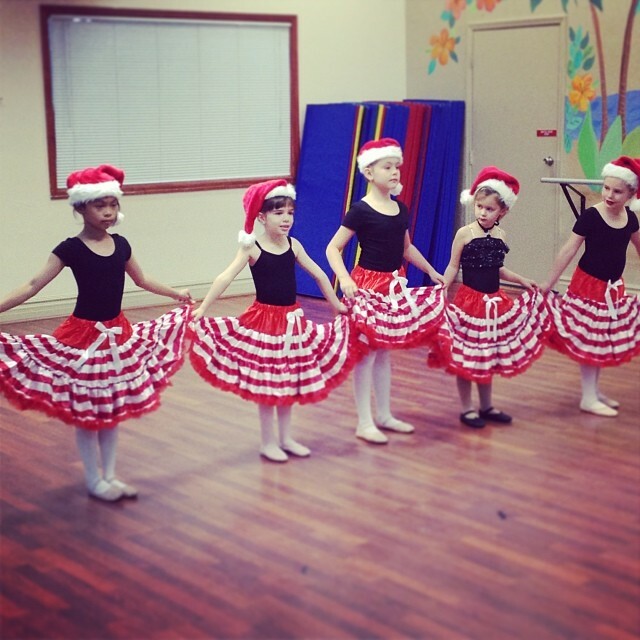 Call us at (480)820-9109 for more information, or to sign up for a dance trial class or one of our parties. Your Swimmer is Going to be a Brainiac! Our job teaching students at SWIMkids USA is so worth it. We’re both saving lives and preparing our students for successful college careers. Wait a second. That seems like an awful lot to assert, right? Wrong! From 2009 to 2013, researchers from Griffith University collected data from our swim school students (as well as little swimmers from Australia and New Zealand), and what they discovered is truly amazing. On average, early swimmers are seven months ahead of their peers in motor achievement, as well as 10 months ahead both cognitively and linguistically. So that means: advanced development in locomotion, grasping skills and visual motor integration. Cognitively and linguistically, the early-developed abilities include better mathematic reasoning, reading and comprehension skills as well as an improved ability to recall short stories and to listen and follow directions. Check out the official report here. When your kids are finally ready for their first day of kindergarten, they’ll be miles ahead of their classmates. But the crucial advantages don’t stop there! Did you know there are a ton of swimming scholarships available? That’s right. If you start your kids in swimming early, then they have a serious chance at knocking out collegiate debt. Swimming doesn’t just save lives- it saves money in the long run, and it grows the brain! Do you know how to keep your loved ones safe? Can you practice layers of drowning prevention? Please take a minute to watch this water safety PSA, and share it with your friends! We don’t want to lose any more children to drowning, so help us spread the word. Swimming at Home: Watch those Bad Habits! With record temperatures scorching the Valley, there isn’t much to do outside besides swimming. When you swim at home, it’s important to remember (and practice!) the techniques that your child learned with us at SWIMkids USA. Yes, pool time should be fun, but it’s important to avoid these common mistakes at all costs. Using floaties. This factor is so important that we’re covering it twice! If you keep up with the blog, you already know that water wings are dangerous. They give your child a false sense of security, and force your child to swim in a vertical position. But why is vertical swimming an issue, you ask? It’s how people drown. Check out the video below for a better understanding, and use a properly fitting life jacket instead. The “Jump to Me!” game. We get it. It’s hot outside, and you want to cool off with the kiddos! You can feel yourself sweating, so you hop in the pool in a jiffy. Before long, the little ones are trying to launch into your arms from the side of the pool. Bad idea. The “jump to me” game teaches the child that the way to safety is to the center of the pool, rather than back to the wall or rolling to their back float. They have fun jumping in, but as far as survival is concerned, 100% of the work is being done by the person they are jumping in to. If they’re always playing like this with you, will they think twice about jumping in without you? Forming bad habits. It’s great to have fun in the pool, but make sure that your children are practicing the techniques they learned in class! Vertical swimming is typically the start of the drowning process. It is the opposite of being safe. It leads to exhaustion, usually followed by inhalation of water. We recommend you have “practice” before play time, even if it is just a few minutes, or often times your child will have the expectation that swim class is suppose to be all play and no work. It’s vital that they associate their swim skills with ANY body of water, rather than just the SWIMkids USA practice pools. It’s beginning to get toasty in the Valley, and we’re all fretting about water safety. Over the Easter weekend, a little girl drowned in Saguaro Lake, and it was absolutely horrible to hear about it. We know you want to do what’s right and safe for your kiddos. That means watching them around water, practicing touch supervision and giving them the tools they need to survive. Did you know swim floaties are incredibly unsafe for your child? Several online resources (the BabyCenter, Whale Wisdom, and Parents.com, to name a few) have spoken out about the dangers of using flotation devices. They give children a false sense of security, and prevent them from having the skills they need to survive in an emergency. Last summer, we had a terrible scare at my sister-in-law’s house. We had gathered the family for a barbecue and fun day of swimming. Much to my dismay, the little ones had been swimming with floaties. Naturally, I could not help but have my eyes glued on those who were swimming, as I do not trust the safety of the devices. When the sun had set, we cleared the pool and brought everyone inside the house. Or so we thought. When everyone went inside, my sister-in-law grabbed her brother and threw him in the pool. They were playfully wrestling and splashing loudly, but thank goodness I had been watching from the kitchen window. While the grown ups were creating a ruckus, my 6-year-old nephew silently ran out of the house, and launched himself into the pool without his floaties. He had been wearing them all day during the supervised swim time, so he thought he would be able to stay afloat. Instead, with fear in his eyes, he quickly disappeared under the surface of the water, and I bolted outside to help pull him out. Please, teach your children to swim, rather than allowing them rely on insufficient swimming aids. If a kid cannot swim, he or she must wear a properly fitting life jacket. Every child must have an adult fully present at all times. Check out the U.S. Coast Guard life jacket standards here.